Liveblog: As soon as there is new information about Facebook Messenger and new app versions and/or features, we will update this article. Facebook Messenger: From now on, already sent messages can be deleted. 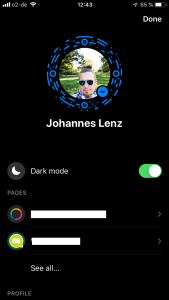 Facebook Messenger: Get dark mode in just 3 steps! Facebook Messenger now also has a dark mode. 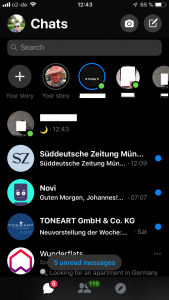 Dark mode means that everything happens in the messenger app with a dark background. The main advantage: less strain on the eyes during use. 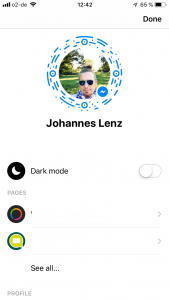 The dark mode rollout is currently being promoted in Facebook Messenger by a small hack, which at the same time promotes interaction. We’ll show you how to put your Facebook Messenger app into dark mode in just three steps. If you don’t like it, you can easily switch back to the default view. Open the Facebook Messenger app and click on Chats in the navigation below. 3. Once you’ve done that, it’ll rain crescent moons. 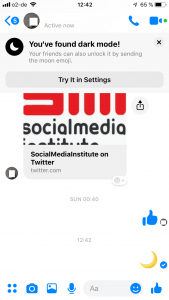 At the top of the screen you will see a message telling you that you can turn on dark mode on your Facebook Messenger profile page. 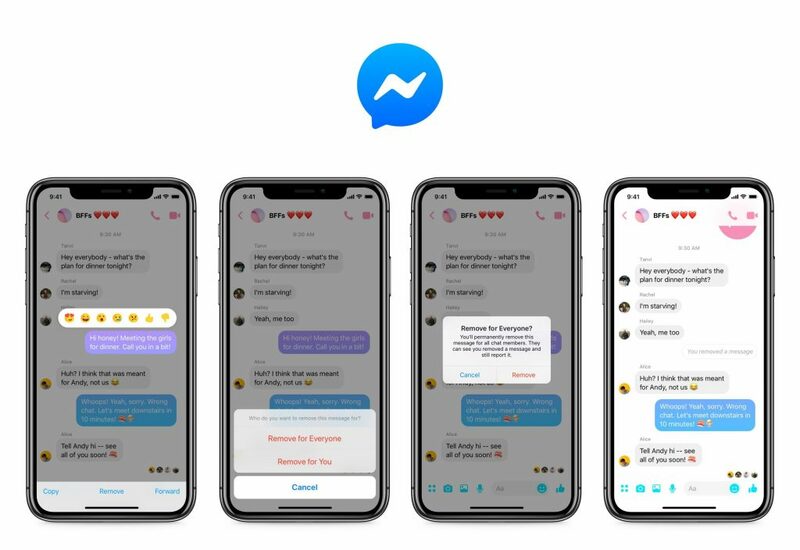 What other messaging apps like WhatsApp, Telegram or Viber have already been offering is now finally also available on Facebook’s blue messaging app. 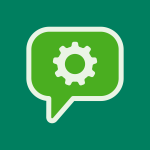 For up to ten minutes after sending a message, a user is now able to delete the sent message! The message is then deleted not only from the user’s own chat history but also from those of other chat participants. This is a feature that many users have been demanding for a long time. Especially since it recently became known that selected users had already been able to access this feature for some time. 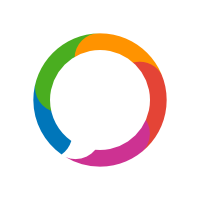 Similar to the messaging apps mentioned above, a message about the deletion is transparently displayed to all participants of the chat. Open the chat via . Tap and hold to open the menu. The menu item “Remove” offers “Remove for You” and “Remove for Everyone”. In addition to updates and new features, we have also been asked many times about the main differences between WhatsApp and the FB Messenger. So let’s take a look at some of the features just like Business Today did a few weeks ago. Here the FB Messenger is clearly ahead. 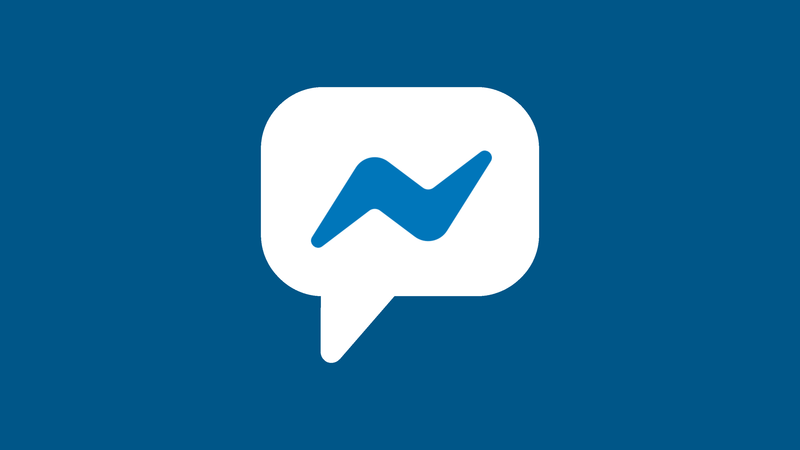 With FB Messenger 4, users have just received a major redesign, including a logo, which is being rolled out worldwide. The aim of this redesign is to bring more clarity, simplicity and focus on the essentials into the Messenger App. Finally, the FB Messenger also offers a wide range of colors. For example, it is possible to adjust the colors of the chat sequences. WhatsApp is not that advanced yet. WhatsApp’s design still gives an “oldschool impression” compared to other messengers. It just became known that WhatsApp allows sticker integration via third-party providers and that Google as a well-known brand,starts with it. We all know it, Facebook’s image recognition. Of course, this also comes into play here, as well as the fact that the FB Messenger doesn’t set any limits for sending messages, while WhatsApp has reduced the forwarding of messages to 5 people (against the background of upcoming fake news). This reduction from 20 to 5 recipients of forwarded messages follows the example of India, where this limitation has already been in practice for some time. 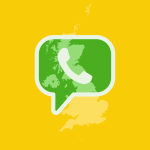 WhatsApp has been and still is often criticized for its privacy. But compared to Facebook Messenger, the “green giant” has one big asset: end-to-end encryption. It comes into effect as soon as two users exchange information and only exists between them, or more precisely between the end devices. The situation is different with Facebook Messenger: a secret conversation can be started here, with encrypting the chat end-to-end on the basis of the protocol developed by Open Whisper Systems. This protocol is also used for the messenger Signal, which is known for its security. The only problem with Secret Convcersations is that they are device-dependent. If I have a Secret Conversation on the iPhone, I have to create the same chat on the iPad as Secret Conversation (“one device only”). Normal messages on Facebook Messenger are also encrypted, but only until they reach the Facebook servers. If government agencies need to view a chat history, on reasonable suspicion, Facebook can provide them with this information. This is not possible with WhatsApp. While WhatsApp offers the complete deletion of already sent messages, this is not the case with FB Messenger. The Unsend feature (only iOS) for the FB Messenger rolled out in November contains the following points: The complete deletion, i.e. unsending, can only be realized within 10 minutes after sending a message. In addition, Facebook stores the message for an undefined period of time to prevent it from violating the guidelines. Finally, the rollout began in November in the following countries: Poland, Bolivia, Colombia and Lithuania. The preference for calling is clearly WhatsApp. The most important reason for this is the fact that WhatsApp calls (audio, video) work even with weak internet connections. In group conversations, the FB Messenger wins, also because with a maximum of 50 participants it allows more than WhatsApp, which supports just four participants in conducting a joint conversation via audio/video. We had already reported on the redesign at the end of last year. 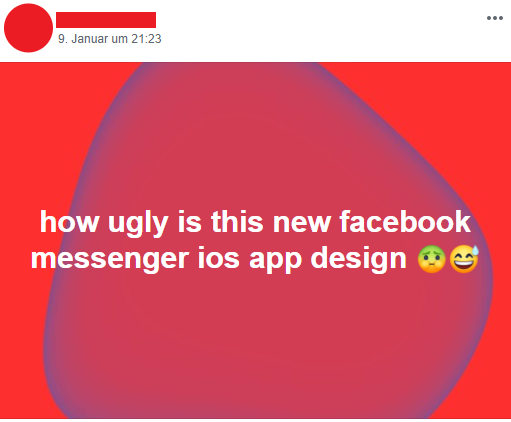 Now the global rollout of Messenger 4 has arrived to all users worldwide and the opinions on the new UI design diverge as expected. As with all major changes, some users are of course less enthusiastic about it. From an objective point of view, Facebook consistently follows the path of simplifying usability with this update. With three instead of 9 Tabs, the design appears much cleaner and thus also creates easier access for discovering users and, above all, company accounts. Another consistent step on the part of Facebook to accelerate communication with companies via Messenger. In addition, it serves to prepare the upcoming dark mode, which will also be available to all users in the coming months and above all serves to reduce power consumption when using the Messaging app.